Reflex sympathetic dystrophy syndrome is a rare sympathetic nervous system disorder involving severe chronic pain. The sympathetic nervous system regulates the involuntary functions of the body, such as increasing heart rate or blood pressure. Symptoms start with burning pain in the shoulders, fingers, palms, or arms and progress to skin that is swollen, inflamed, and sensitive. The precise cause of reflex sympathetic dystrophy is not clear, but it can be triggered by a prior injury, nerve pressure, cancer, or cardiovascular problems. If you suffer reflex sympathetic dystrophy and it is related to your Boston job, the workers’ compensation attorneys at Pulgini & Norton can help. Reflex Sympathetic Dystrophy (RSD) is also known as Complex Regional Pain Syndrome I. Unlike Complex Regional Pain Syndrome II, it is diagnosed in individuals who do not have a confirmed nerve injury. While its cause is not known, some researchers believe it arises out of a malfunctioning of the sympathetic nervous system. It often follows extreme trauma, such as a surgery or fracture. There is not a single lab test used to diagnose this condition, but healthcare providers may make the diagnosis when there is no other diagnosis that provides a better explanation of the symptoms. Early diagnosis is believed to be helpful to stopping this syndrome from continuing. Generally, you will need to document your medical history when applying for workers' compensation, since it is common for employers and workers' compensation insurers to deny chronic pain claims. However, if the chronic condition began after a work injury, such as a slip and fall or machine accident, or was a preexisting condition that worsened after performing your job duties, you should be able to seek benefits. Most people with RSD will need physical therapy and medication. Treatment plans must be individualized. Some patients experience remission, while others do not. 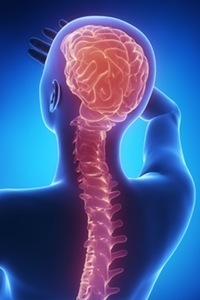 Through the workers' compensation system, you may be able to recover weekly cash payments related to missing work, prescription medication, physical therapy, electric stimulation of the spinal cord, anesthesia injections, and biofeedback. What if the insurer denies your claim? You can file a claim with the Department of Industrial Accidents (DIA). The first step will be conciliation, which is an informal meeting between you and the insurer's attorney and a conciliator from DIA. If a voluntary agreement cannot be reached at conciliation, your claim will proceed to a conference, which is an informal proceeding before an Administrative Law Judge. You would need to show that you were disabled, the injury or illness was work-related, and any disputed medical bills were for necessary treatment. The judge will make a decision on your case, and if you disagree you can appeal by asking for a hearing, which is a formal legal proceeding. The judge will render a decision that can be appealed to the Reviewing Board. If your reflex sympathetic dystrophy is aggravated on the job in Boston, you should consult an experienced workplace accident lawyer. This is a complex disorder that insurers may not understand. Having an attorney on your side can help. Pulgini & Norton represents injured individuals in Hyde Park, Andover, and New Bedford, among other Massachusetts communities. Call us at 781-843-2200 or contact us via our online form for a consultation.